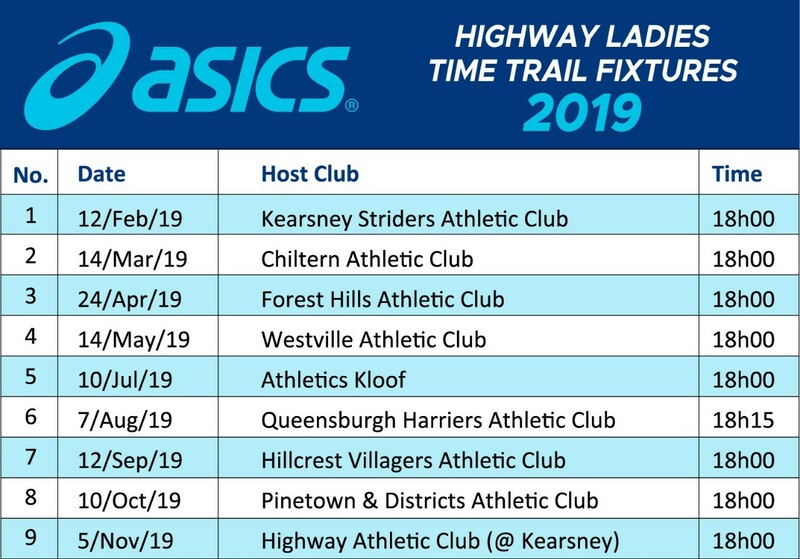 There are two time trial leagues which we participate in – The Durban Mixed League and The Asics Highway Ladies League. This is open to men, ladies and walkers. The men run 8km and there is an open, veteran and masters category (4 runners make up a team). The ladies run 4km (also 4 runners per team) but there are no age categories and the same applies to the walkers (4 walkers per team regardless of gender). All the events start at 18:00 (unless notified) and club kit and licence numbers to be worn. There is no entry fee but there is an annual once- off fee of R15 to Event Timing to buy your timing chip. Stay afterwards for a free boerie roll and beer. This is one of the oldest ladies-only leagues in the country and was started by our very own honorary club member, Lynda Palmer. You do not have to be a licensed runner to participate and all ladies are welcome. If you want to count for a team however, you have to at the least be a paid up social member of the club (or any of the participating clubs). It is 4kms only and open to runners (6 ladies make up a team) and walkers (4 per team). All the events start at 18:00 (unless notified) and club kit to be worn (no licence required). There is no entry fee. 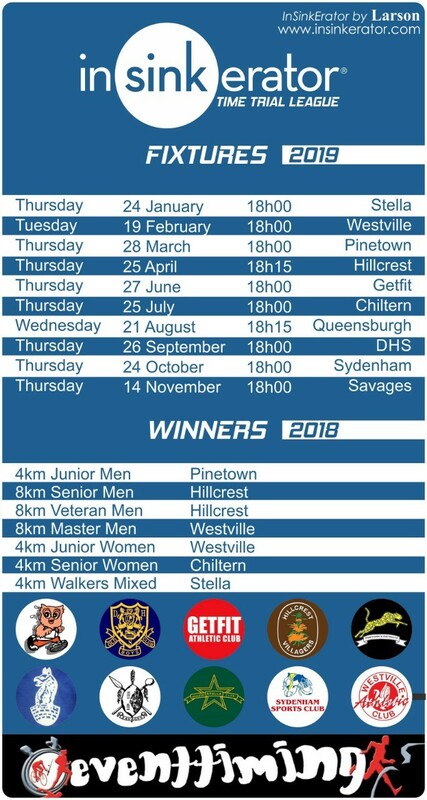 Prize giving starts at 19:00 so stay for the Asics shoe draw, lucky draws, champagne and orange juice and wonderful snacks.